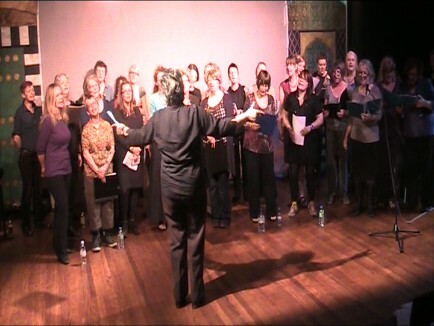 Watching Women sing East rehearse for their performance on Wednesday night was a joy and a revelation. 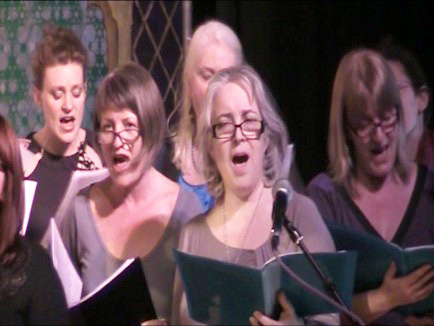 Having heard so much about the all-female choir from my colleagues at Spitalfields Music I was interested to find out for myself what all the fuss was about! Coming into the performance hall at the Brady Centre I was immediately struck by the energy and enthusiasm emanating from the group. Led by charismatic artistic director, Laka D, the ladies of Women sing East smiled and swayed as they ran through their renditions of well-known popular music pieces and a number of original songs. When the rehearsal had finished I managed to have a quick chat with a few of the group’s members whose comments were nothing but positive when discussing their WsE experience, one lady said that their sessions were highlight of her week. Alas, I was unable to stay for the final performance (I was particularly disappointed to miss the full version of God Only Knows!) however, I will now be making every effort to catch their show at the Summer Festival!